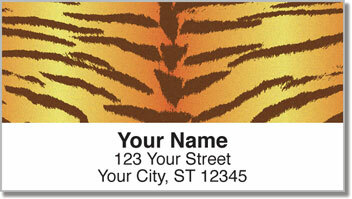 The beautiful striping of a Bengal tiger creates an attractive animal print for your new return address labels. In the wild, a tiger's stripes act as camoflague, helping it blend in where it hunts. Those black vertical stripes look like the shadows created by the tall grass. 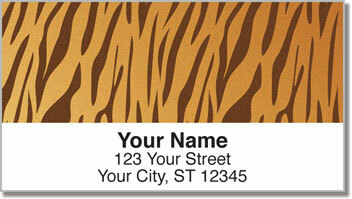 Of course, you can use these eye-catching labels to make your mail stand out. Plus, they come with a handy self-adhesive backing. That means you just peel and place them on all your letters and packages. 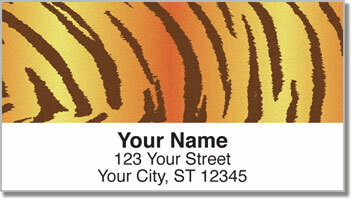 Make these Tiger Stripe Address Labels yours today! 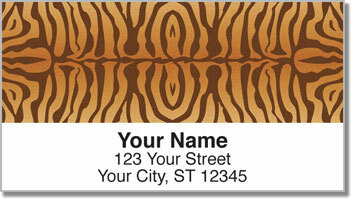 You can complete your order with a set of matching personal checks.